If you are a servicemember, there is no time like the present to check your credit report. This can be done for free through www.annualcreditreport.com. Every American is entitled to one free credit report from each of the 3 credit reporting agencies (Experian, Equifax, and TransUnion) once per year. You do not have to pay to review your credit report – your credit score is different. Check out this article for more information on the difference between the two. Why should everyone check their credit report? Statistically, one in four Americans has errors on their credit report. According to this report by the Federal Trade Commission, 26% of participants identified at least one error in their report that could make them appear riskier to lenders. Check out this article from myfico.com for more information about these common errors and how to fix them. Why is this so important now for servicemembers? According to a recent article in MilitaryTimes.com, the Department of Defense announced that it will be changing the process of reviewing servicemembers’ financial information. This will be a more constant interaction with troops’ finances. If you don’t know what the DoD knows about your finances, it could hurt you. It could affect your clearance, ability to deploy, and your career. What should you do now? Check your report for free! 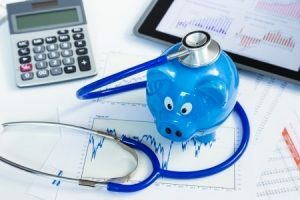 As stated in the beginning of this article, you can view your report for free at www.annualcreditreport.com. This is the ONLY truly free way to check your report and it is an entitlement for all Americans. So, while you’re at it, encourage your friends and family to do the same. Your credit history, payment information, personal information, loan balances, etc. on your report is information important to lenders. This information is also important to someone who might rent you a house or apartment, as well as to your employer. In the case of DoD, they may be watching your financial habits more closely from now on. How do you get help if you need it? If, after you check your report, you are not sure where to start or how to improve your score, see a professional. Ask for a free consultation from your installation Personal Financial Manager/Counselor at your family readiness center. You can also visit www.MilitaryOneSource.com for free financial counseling. Your installation or community military banks and defense credit unions are also available to assist. Check your report, know your score, get on top of it now. Your career could be riding on it.